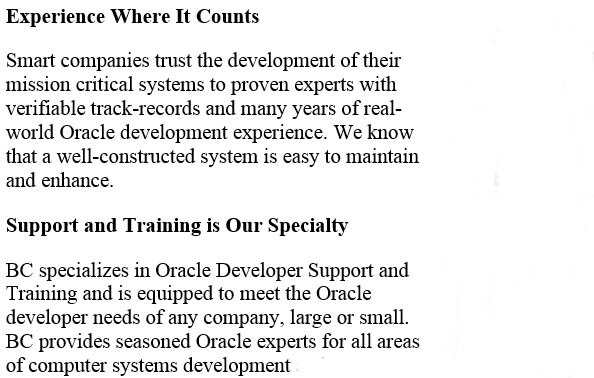 Burleson is a leader in Oracle 12c consulting services. Burleson has support for all areas of Oracle Database 12c and have Oracle 12c remote DBA support and Oracle 12c remote consulting services. 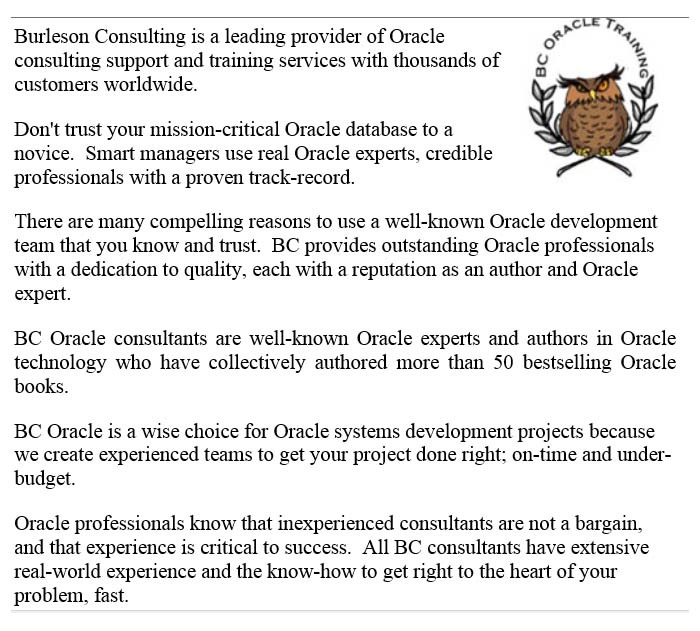 Burleson provides world-class Oracle 12c support consulting that is customized according to your needs. Our Oracle 12c consulting is performed by 12c industry experts and we offer complete Oracle 12c support and Oracle 12c consulting as well as Oracle 12c contractor services at affordable prices.